No one can accuse designer Louise Kennedy of resting on her laurels. A brand new perfume heralds a fresh new start for a lot of folk who put their feelings in fragrances. We love a bit of wedding dress inspiration here at THEVOW.ie. We're suckers for an Instagrammable item of clothing. And when it's a wedding related piece of picture-perfection? Well, we just can't say no. There's nothing like having a little nose at how the other half spend their hard-earned cash, especially when it comes to their bling. We all love our high street heels, but if we're honest, spending 12 hours in them isn't often the smartest decision for our poor soles. There's nothing that quite sets off an outfit like a really great bag, and if you're in the market for something super stylish for your big day bridal accessory, look no further. Bridal designer Liz Martinez was the talk of the wedding world last year as she became everyone's 'one to watch' with her highly feminine, ultra contemporary take on the traditional white dress. If you're currently in the panic stages of picking up the last stylish additions to your wedding wardrobe, chances are you're scouring the high street for the best budget accessories. 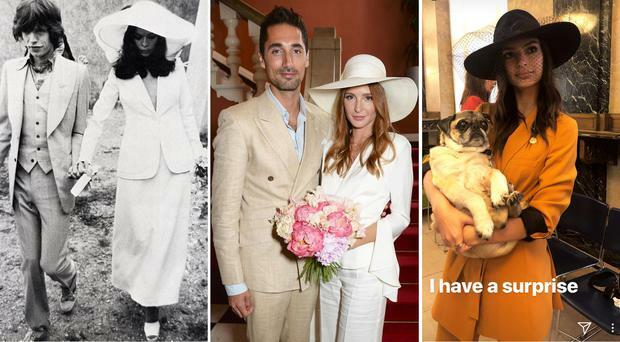 It's fair to say we've come a long way from traditional wedding dresses in recent years. It was only a matter of time before high street giant Penneys got on the bridal bandwagon and the day has finally come with the launch of their dedicated wedding lingerie collection. 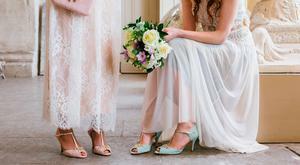 Anna Campbell stockists include Little White Dress in Dublin and Ivory & Pearl in Co. Down.